For two schools that are separated 94 miles from one another, Liberty traveled 2,750 miles across the country to face Virginia Tech in the Round of 32 in the NCAA Tournament. The Flames pulled off the upset in the first round over the No. 5 seed Mississippi State and now faces No. 4 seed, Virginia Tech, who cruised in its opener with a 66-52 win over No. 13 St. Louis. The winner of the Commonwealth battle will advance to the Sweet 16 in Washington, D.C. next week. In order to advance to the Round of 32, the Flames pulled off a historic comeback, coming back from 10 points in the last seven minutes of the game against the Bulldogs. 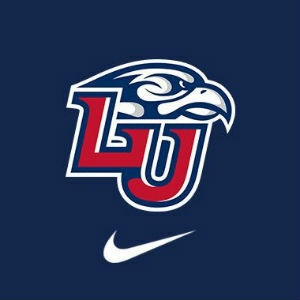 Liberty faced Virginia Tech in a Hurricane Relief Exhibition prior to the regular season, on Nov. 4 held at Liberty. Virginia Tech’s Special Assistant to the Coach, Dale Layer, was the head coach at Liberty from 2010-2015 and was on Coach McKay’s staff at Liberty and Colorado State. Liberty’s win over the No. 5 seed Mississippi Stat was its first NCAA Tournament win in school history. The win over the Bulldogs was Ritchie McKay’s first win in the NCAA Tournament as a head coach. Liberty’s win over Mississippi State was the program’s first win over a SEC school. This is head coach Ritchie McKay’s second trip to the NCAA Tournament as a head coach, previously taking New Mexico in 2005. Liberty’s 29 wins are the most in a single season in school history, passing the 1979-80 team (28 wins). Caleb Homesley’s 30 points was the most points scored in an NCAA Tournament game in school history. It was also his career high. In Liberty’s last two games against SEC schools (Alabama and Mississippi State) Homesley is averaging 26.5 points, 3.5 rebounds and 3.0 assists per game. Liberty gives the ASUN Conference five NCAA Tournament wins since 2013 and eight total wins in conference history. Cabbil became Liberty’s winningest player in school history with 85 wins over the past four seasons, besting the previous record of 79 set from 1983-86.